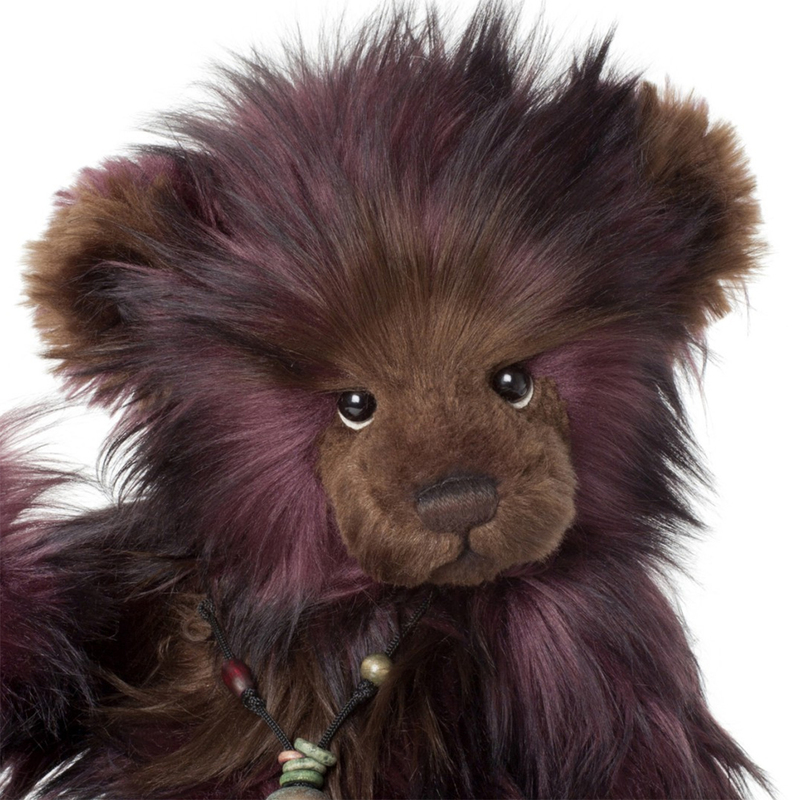 Elderberry is an adorable bear designed by Bear Artist Isabelle Lee. 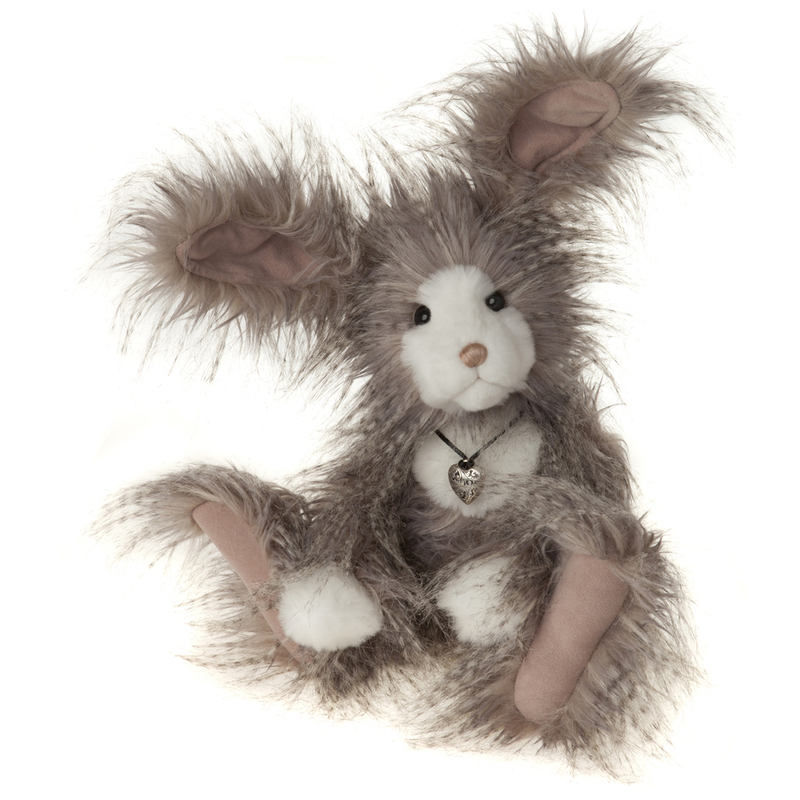 The sumptuous long soft elderberry wine coloured fur is tipped with black and accented with brown on her chest and muzzle. This delightful bear is sure to melt your heart. 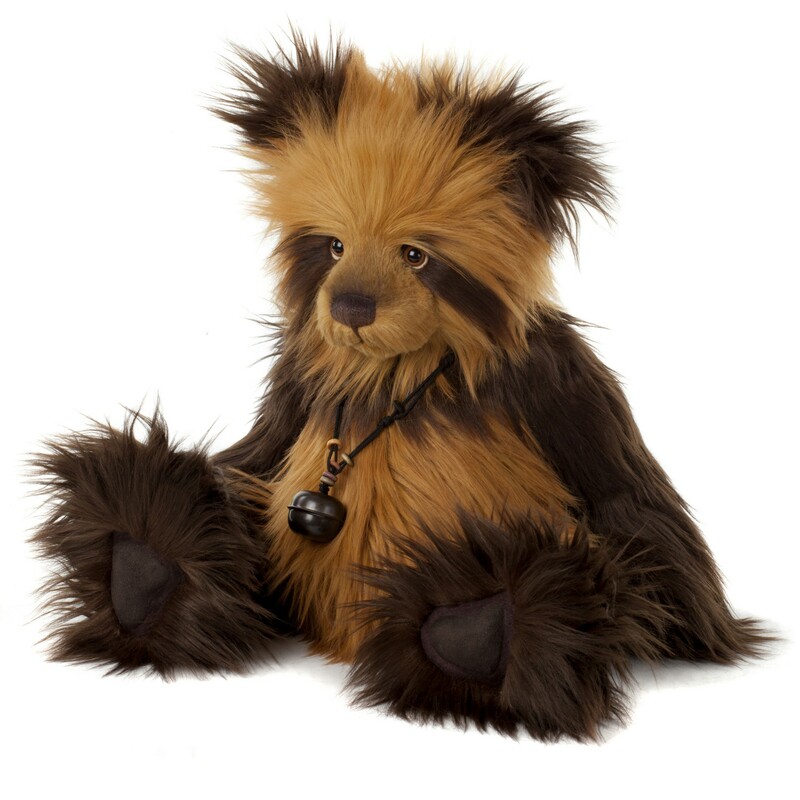 This beautiful bear is part of the Charlie Bears Plush collection launched in September 2012. 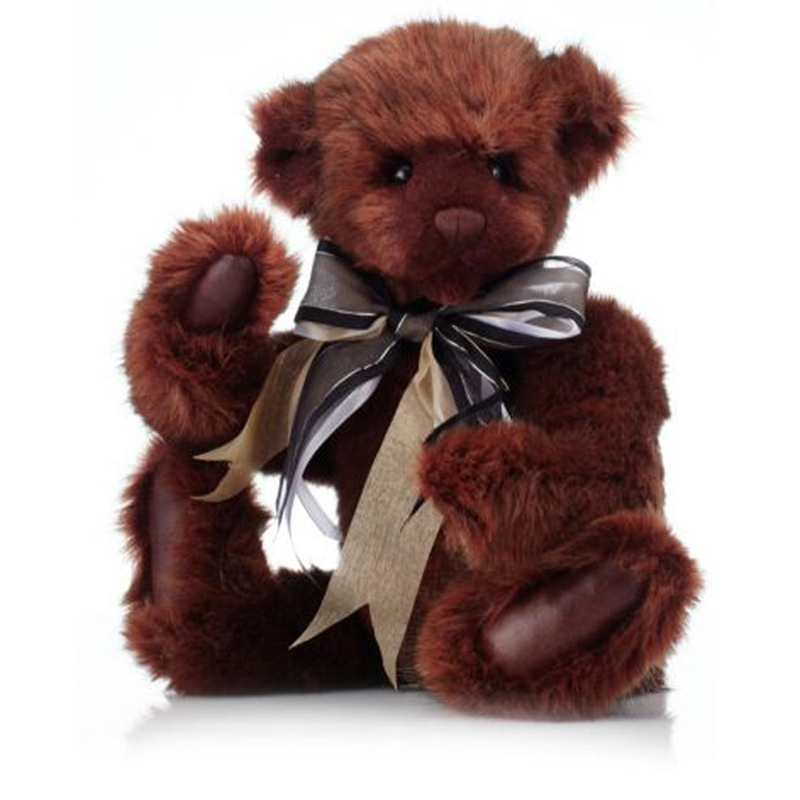 Her paw pads are made from a soft brown coloured leatherette material with toe details. Around her neck she wears a necklace with beads and a bell. 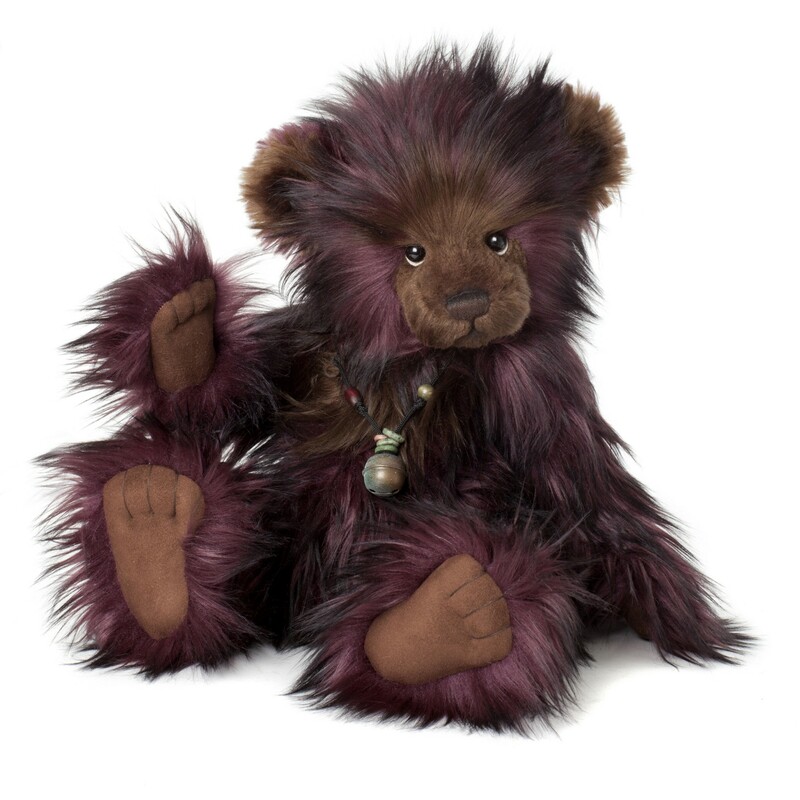 Elderberry is intended as a collectable bear suitable only for children over the age of 3 years.